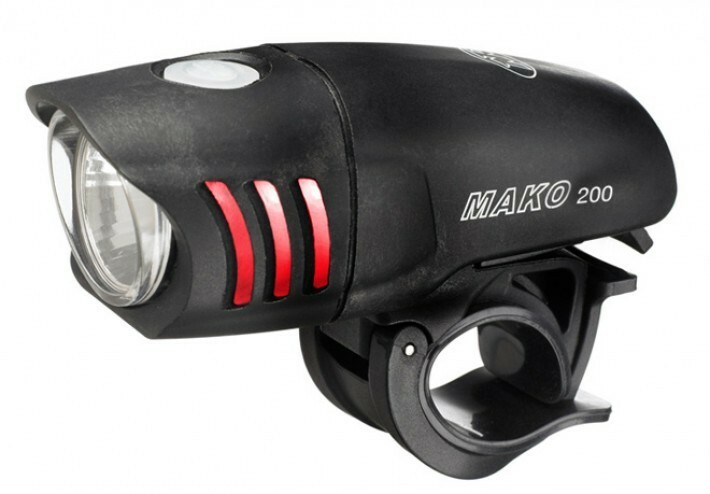 Has flashing red side-lights to increase visibility. I'm not entirely sold on these, as I think having red at the front of the bike can be confusing to drivers. I'd prefer to see amber lights, like on the L&M Urban 550, or more white spilled to the side, like on Planet Bike's lights. Batteries are actually just NiMH AAAs inside, not a built-in Li-Ion battery. The Bike Light Database is a project by Nathan Hinkle. Copyright © 2012 – 2019.